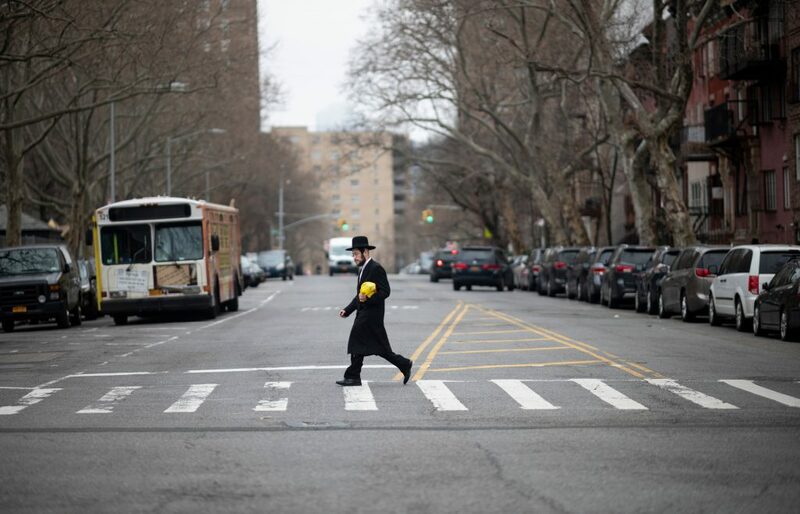 In a rare order, New York City is requiring residents of a heavily Orthodox Jewish neighborhood to be vaccinated for measles. Now the question is how officials intend to enforce that demand. Authorities plan to start by asking people sickened in the city’s biggest measles outbreak since 1991 about where they’ve been and whom they’ve encountered. Then officials want to interview those contacts, aiming to persuade them to get inoculations if they aren’t already vaccinated or immune from having had the disease. The city says it’s ready to help arrange the shots — but also to fine people as much as $1,000 if they refuse. Tuesday’s emergency order revives a public-health strategy that experts say hasn’t been used in the U.S. in recent memory: commanding people to get vaccinations or face fines. It’s meeting a mixed reaction in the Brooklyn neighborhood affected by the order and raising red flags among civil liberties advocates. Some 285 measles cases have been diagnosed in the nation’s biggest city since last fall, compared to two in all of 2017, officials said. It’s among outbreaks that have spurred 465 measles cases around the country this year, the second-greatest number in any year since measles was declared eradicated in the U.S. in 2000. New York City’s order applies to people who live, work or go to school in four ZIP codes in Brooklyn’s Williamsburg neighborhood. There are some exceptions, such as for children under 6 months old. The city believes an estimated 1,800 children in the neighborhood hadn’t been immunized as of December. Orthodox Jewish schools and day care programs in Williamsburg were ordered Monday to exclude unvaccinated students from classes during the outbreak or risk being closed down. At Yeshiva Kehilath Yakov school, Rabbi David Oberlander said administrators had taken pains to make sure children with measles weren’t in school. Some Williamsburg residents — even those who support vaccination — said Tuesday they felt uncomfortable about the city pushing inoculations on people who don’t want them. Others remain convinced, against expert assurances, that vaccines are unsafe. “And it’s everybody’s option to do what he wants. What he decides,” Braver added. De Blasio, a Democrat, said officials were confident the order would withstand legal scrutiny. U.S. cities have fined residents before for not being vaccinated, but “not in our modern history,” said Lawrence Gostin, a Georgetown Law professor specializing in public health law. The U.S. Supreme Court upheld such an order in a 1905 case involving smallpox vaccinations in Cambridge, Massachusetts. But over time, public health officials focused more on requiring children to be vaccinated to attend school. New York’s suburban Rockland County, which has logged 168 measles cases since last fall, tried banning unvaccinated children from public places last week. A judge halted the order. County Executive Ed Day, a Republican, said Tuesday that Rockland planned to appeal and is crafting a new order designed to isolate people exposed to measles. Overall, U.S. vaccination rates remain high, but the percentage of kids under 2 who haven’t gotten their shots is growing, according to the Centers for Disease Control. The CDC attributes the trend partly to lack of health insurance. Some experts also point to anti-vaccine campaigns that have gained some traction in recent years, helped by social media. New York City officials blamed the spike there partly on “anti-vaxxers” spreading misinformation that inoculations are dangerous. The National Institutes of Health says reports of serious reactions to vaccines are rare: about one in every 100,000 vaccinations. Measles is highly contagious, spreading through coughs and sneezes. It can cause pneumonia and brain swelling that can lead to seizures, deafness or intellectual disability. The CDC recommends all children get two doses of the measles vaccine. It says the vaccine is 97% effective.